Xtreme air has been recognized as one of the leaders of quiet & powerful kitchen ventilation systems. 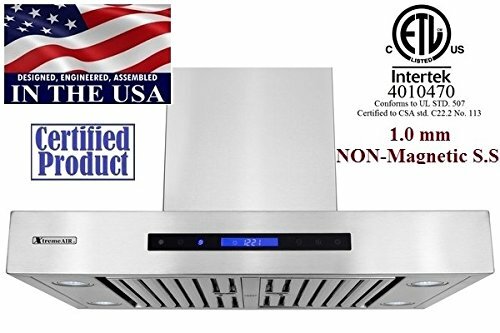 they have maintained its specialization and focused on becoming the definitive kitchen ventilation brand in the appliance industry. having earned a reputation for being well constructed and high-powered, Xtreme air set its sight on redefining the industry by focusing on quality, style, and design. Their main R & D department is located in California and every member of their team has worked very hard and intelligent to achieve these goals. Xtreme air specializes in innovative design, latest technology components to develop their state of the art range hoods. If you have any questions about this product by XtremeAIR, contact us by completing and submitting the form below. If you are looking for a specif part number, please include it with your message.